Is it snowing in Cedars ?Bedankt! 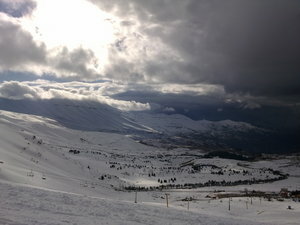 Cedars is located about 2hrs drive north of Beirut. 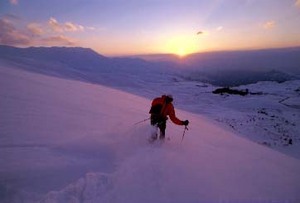 It is slightly higher than Faraya, with a slightly longer ski season as a result. In fact the season here is surprisingly long. It can begin in November and usually ends in late April. Cedars has changed a lot since the government installed the first lift in 1953. At a cost of $15,000,000, the latest improvements are the replacement of 3 old Tbars with new chair lifts and a new gondola for 2006 that will soon carry skiers from the base area up to 2870m. New roads and a new hotel at the base area are planned too. 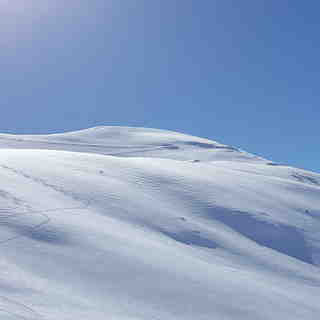 The skiing area is respectable; perfect for learners, but with enough steep off-piste to challenge better skiers. 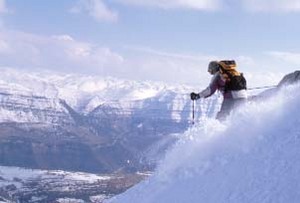 The après-ski is worthwhile too, and there is plenty to see besisdes the famous ancient Cedars forest, with fascinating old buildings in the nearby Kadisha Valley. 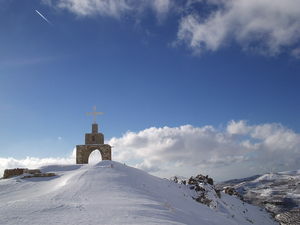 Bcharreh, a neighboring village of the Cedars, is the birthplace and resting place of Gibran Khalil Gibran, Lebanon's most famous poet, artist and novelist.The Cedars ski slopes normally operate from 8:00 am till 3:30 pm during weekdays and 4:00 pm during weekends and holidays. 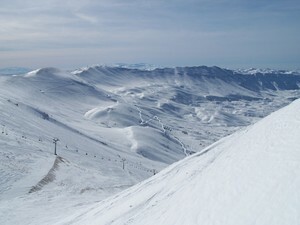 The Cedars ski resort being the highest in Lebanon, receives the biggest amount of snow and open few days before the others. An outdoors webcam have been installed at the footstep of the slopes, provide a direct view on the skiing arena and the chairlifts.